I have just found this delightful picture of the Quirinelle actress Romy Schneider – some pettes might remember her from the film Mädchen in Uniform. I was quite taken aback by this and felt that I simply had to share it. There is something about a veil that is so mysterious, I never quite manage to pull it off myself. What a glorious veiled lady. Yes, I feel a veil is the most mysterious accessory too – in fact when you called it in your popup “The Mysterious Accessory” I found myself almost taken aback to hear it referred to as an accessory at all. Gloves are an accessory and a charming one. So are handbags. But a veil seems something almost too secret and sacred, too magical and mysterious to be an accessory. Something that marks out a woman as a strange and beautiful Creature Apart. Well, I know it is an accessory, but does anyone know what I mean – or am I just being silly without even being a blonde? Miss Gillian, darling – there is nothing silly in a brunette’s being captivated by the mystery and magic of a veil. Brunettes can be romantics too, you know. And should be in my opinion. So I hope no one will think me iconoclastic if I demonstrate that veils are not always mysterious and shiveracious, but can sometimes be quite jinky. Not normally, I grant you, but here is a picture I found that captures the veil in its lighter mood. I hope you all like it as much as I do, and if it gives one girl the courage to try a veil, I shall not have sent it in vain. For I should just love to meet one of you in a veil. And umm – does anyone have any thoughts on the subject of kissing through a veil. I confess the idea thrills me. We human beings cannot truly know God. In Hebrew tradition, one does not say “God is this” or “God is that” — because that would be to limit the Divine, to put boundaries upon Someone far beyond our comprehension. We cannot know Her attributes or Her plans or why She has made us as we are. We can only guess, and this is my guess. God’s love for us may or may not be unconditional, but our own love is a paltry gift to Her unless it is born of our own free will, in an imperfect universe. It’s easy to have faith and to love God when you live in paradise. Love of God is harder, and worthier, in difficult times. lets us live as we will and make whatever mistakes we need to make. But She has shown us ways we may follow to live in harmony with Her, according to Her wishes. We have only ourselves to blame if we ignore them and are miserable. To understand [the origin and nature of manifestion] fully would be a great task and one that could not be accomplished by mere discursive reasonng. In the end, knowing the Truth entails becoming one with the Truth as our Taoist and Buddhist friends would constantly remind us. For our everyday understanding, as living, feeling, non-realised beings, the very best way to understand the Absolute is as our all-compassionate Mother who loves us unconditionally. Now the modernist mind will immediately say “Aha – so the Divine Mother is just a pretty fairy story – a way of understanding things that is not the full truth.” And the modernist mind would be wrong. Everything that can be stated in words falls short of Realisation (as Lao Tzu puts it: “the Tao that can be spoken is not the true Tao”). But the recognition and love of our Universal All-compassonate Mother contains the full truth. It is, as the Hindus would say, the bhakti approach to Truth. The Path of Love. The other approach, the Path of Knowledge, involves the absolute annihilation of the self. Because the only true knowledge takes place when the distinction between the Knower and the known is annihilated – and, in the end the only Knower is Dea Herself, of Whom we are but facets or reflections. Realisation is not easy. But love is easy. Love cannot really answer the theodicy problem (the problem of evil and the existence of an all-powerful, all-compassionate God). Part of the problem of the late Rajasic world was that questions were posed to exoteric religion that only esotericism (that is to say, Realisation) can answer. And by that time esotericism was long dead in Western religion. The traditional advice, therefore, is to put aside both esotericism and the theodicy problem and simply surrender ourselves to Dea, knowing that She understands everything, that she know infinitely better than we do and that she is our Compassionate Mother who loves us unconditionally. Well, hello to all of you grown ups here in this bar. I am new and if my Brunette Mummie knew I was here, what lines I might get! But my Brunette Mummie doesn’t know, so please, don’t tell her! I mean, I haven’t even had my coming out party yet, so how in the world could I be so very “out” as I am here, in this gorgeous cocktail bar. I would feel a bit more shy, except that I am never shy and after all, I have been reading books about places like this one for years! So Barmaid, could I please have a soda from that soda fountain over there?I might be a bit naughty just by being here, but even I know better than to ask for a real cocktail, say, like a Manhattan (I read about those too! ), I mean, you wouldn’t actually give me a Manhattan, would you? And, perhaps with an extra cherry like that one over there? Now, I feel I just have to answer Miss Barbara’s question about being stuck in the Pit, all the while having an Aristasian body and soul. And really, I can’t believe it took little fourteen-year-old me to answer this question, and the question must have the simplest answer if such a blonde Blonde as yours truly can come up with it so easily. The answer is this: move to Aristasia! I mean, even if you can’t really, you can in your head, don’t you know? Miss Barbara, just go there when life is so terrible! I know I have, for, to be completely honest, I don’t really have a Brunette Mummie or a Blonde Mummie for that matter, because I also am from the Pit, but in my head I have these Mummies and in my head all of the cars are round and beautiful and all of the clothes are completely up-to-date! In my head, you see. Just go there in your head and you’ll see that what is in your head is real and what is in the “real” world is false. That’s what magic is, and once you visit Aristasia, you understand that magic is so much more real than anything else. Of course, Olyvya is right, if you can meet with other real girls who think as you do, it can be so much easier, but even on your own this will work! For instance, today I lost an hour, simply misplaced it, and I was supposed to go somewhere at noon, and when I looked at the clock, it was 1:00, and I was so shocked! Well, where I really live everyone was so roll-their-eyes-at-me but in Aristasia, in my head, everyone simply said, as they patted me on my back, “Why, of course, dear, Blondes, especially very young Blondes and very Blonde Blondes, always misplace hours. Don’t worry your sweet head about it.” So much more sane, don’t you think, Miss Barbara? 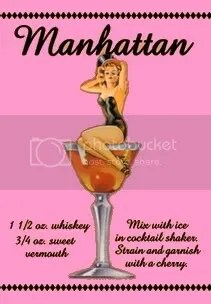 Thank you, Barmaid, for the Manhattan, um, er, I mean the lovely cream soda. It’s everything I always dreamed it would be. Thank you to all my new friends for listening to me go on and on and on. In all places and at all times it has been agreed that the direction of history is always “downward”, from the Golden Age, or Garden of Eden to the Iron Age or Latter Days. The religions, philosophies and traditions of the world are unanimous in seeing not a pattern of progress, but of decline and degeneration. If they are correct, then it follows from what we know about the matriarchal origins of civilisation that the highest and noblest and most spiritual forms of culture must have been those primordial feminine ones, while masculine-dominated civilisations must have come into being as quite a late phase of the process of decline. This view of history, is, of course, completely alien to that of the late-patriarchal world-view with which we have all been inculcated from the earliest age, and which places late-patriarchy itself at the pinnacle of a long process of ‘human progress’, relegating earlier civilisations to varying degrees of ‘ignorance’ and ‘barbarism’. Nevertheless, when one looks at the facts pertaining to the very medium of our thought itself—language, it is hard to deny that superior intellectuality lies with the past rather than the present. Every language we know is a debased and simplified “scaling-down” of some earlier language. The modern Romance languages, for example (French, Italian, Spanish, Portuguese and Roumanian) are greatly simplified dialects of Latin. Many of the grammatical complexities have slipped away with time, leaving the language less expressive, less flexible, less capable of dealing with subtle ideas, but very much easier. Latin and Greek are a maze of case-endings for modern speakers, but as we go back further in time, to even earlier languages in the same Indo-European family, such as Sanskrit, we find language which makes Latin and Greek seem positively childish by comparison. Whilst taking a gentle stroll in Elektraspace, I found references to several of Miss Angela Brazil’s wonderful school novels — with examples of their lovely covers. I hope to share more of them with you in due course, but I thought I’d start with this one, as I have an older sister of the same name, who was born, and lives in Vintesse. Pip Pip, Kitty I hope you enjoy this! Unfortunately these marvelous stories have been out of print for quite some time, but one can occasionally find up-to-date, second-hand copies in the right shops, and also in Elektraspace- but it is worth looking around to note variations in prices, as some naughty booksellers have them at jolly unreasonable prices. Quelle swindle! Anyway I’m sounding quite brunette with all this talk of bargaining! I’ll leave you blondes to admire the pretty cover illustration! I thought I’d add another jolly book cover, dedicated to my younger sister Eve this time! Any of you Avendale pupils (or Mistresses!) who have had the good fortune to meet this delightful young lady (cough cough!) may see why it is appropriate! I must explain, she is a rather lively, robust brunette whom I have had some difficulty in disciplining. Perhaps I should send her back to Avendale to become reaccquainted with the venerable Misses Serelique and Wardelle. Up-to-date schoolgirl books are in some ways as near to paradisial as Telluria gets. They present an all-female world, and especially in the gentler ones (like those of Miss Angela Brazil), a very sweet, loving world motivated largely by kindness and good will. Vintesse is the Aristasian province asssociated with jinky music, Art Neo and “Pippsies” (bright young things). Its tutelary spirit is Sai Candre, the angel of the moon. The flag of Vintesse has a horizontally divided field, half yellow, half blue. The charge is a lunar crescent with the points upward in the colours of the field counterchanged. The themes of this flag are clearly lunarity and duality. We have an image of the sublunary world where all things are in a state of flux and change and where things are seen with the two eyes of lunar reason rather than the single eye of Solar Intellect; thus all is divided into dark and light, yin and yang, meli and chela (“brunette” and “blonde” sexes). In her highest aspect, Sai Candrë, the Moon is called the Great Priestess and is the ruler of earthly priestesses and the type of Our Lady as Priestess of the World; for the Moon stands between earth and Heaven, mediating Heaven to earth and Earth to Heaven. This is precisely the function shown in this image, with the Moon appearing suffused with Heaven’s golden light on the field of earth and with earth’s darkness on the field of Heaven. She is the Mediatrix who stands between Dea and maid, being both Dea and maid. She is the Bridge Who leads from earth to Heaven, and the Barque of Swift Crossing (the resemblance of the horned moon to a boat is another minor aspect of its symbolism). Thus the flag of Vintesse speaks both of the inherent duality of the world and the resolution of that duality by the mediated Light of Heaven. Stylistically, the counterchanged image, with its perfect line and curves, represents the quintessence of Art Neo — Vintesse being the home of Art Neo par excellence — but counterchanging is also a very traditional heraldic technique, reminding us once again that true Art Neo is simply the application of traditional form within a new milieu. Once again, the resolution of duality — in this case of the apparent duality between the “modern” and the traditional — forms the theme of the Vintesse flag; just as this very resolution is the whole purpose of Westrenne Aristasia in general and of Vintesse in particular. Our beloved Dea continues to show herself to us even in this Dark Age of Telluria, the Kali Yuga. In the year 1615 the statue of Our Lady in a small town in my neighbourhood shed tears. This was watched by two priests and a lot of people from the congregation. After the tears were carefully removed Our Lady went on crying for an hour. Only three years later the Thirty Years War started, which devastated Germany almost completely and in which more than two thirds of the population lost their lives. It seems that the appearances of Our Lady are the purest stream of tradition. Where as other streams of tradition in due course of time move off from their origin, are becoming broader, but also more shallow; Our Lady Herself rejuvenates Her tradition again and again, by Her appearances. It is very important indeed, that She appears not only in a Christian context, but also in Buddhist and in Hindu forms. This makes it clear that She is the final goal of every devotion and the original origin of every tradition. René Guénon mentions in The Crisis of the Modern World, that besides the current of the Kali Yuga, to move always further from the Divine Centre, there is also a counter-current leading back to the truth. If we look at the history of the appearances, we can see that the true glory of Our Lady is more and more revealed and from the very beginning She is asking for and even demanding Her worship. It is obvious, that as the line of appearances evolves through the centuries, it is heading for a reestablishing of the complete Truth. The last dogma of Our Lady accepted by the Catholic church before the Eclipse is the Immaculate Conception, which is completely in line with the ancient matriarchal wisdom. Well, today I was set to get on the autobus (I think it’s called) to visit my brunette mother. She lives in a city a few hours north of my own, which is also home to the museum at which I shall be apprenticed during the summer. The kindly brunettes in charge of it wish to speak with me before said apprenticeship commences. I packed my best suit and hat, and several pairs of stockings (as I always manage to ruin at least one), and tripped down to wait where the telephone operator told me to. It wasn’t ten minutes before I saw the autobus go whizzing happily by. The departure spot had changed, and the operator had not known. Alas! So now I must try to catch it tomorrow. But: lemons to lemonade. I used the time thus freed up to work in my garden. Weeds are very stubborn things! I gave the azaleas and lilacs a good grooming, as well, and watered my big pots full of strawberry plants. It was then that I met Pug, the most adorable spider ever. Pug is a little black thing, very stout and squat. She walks about like a bossy, short-legged dog, and seems to know her own mind — for she would not move from the strawberry pot she had chosen to rest on no matter how much she was watered, or how hard she was jostled. It seems she has decided to stick about. I don’t mind, really, for she seems very bodyguard-ish. When I was young, I was very terrified of spiders — so imagine my horror when we moved into a new house which seemed to be filled with them. As many as five or six would congregate on my ceiling each night! It was then that my blonde mother told me that, in fact, these were the Advance Guard and Royal Advisors of the Spider Princess. The Spider Princess, you see, can turn into the most dashing brunette when she wants to (even if she is a bit tall and long-limbed), and — imagine! — I had been betrothed to her at birth! The Spider Princess wished her soldiers to keep an eye on me. Isn’t that sweet? How could I be afraid of them after learning this? No more attempts at philosophy this time, Darlings, I’ll cut right to the chase. So here is Marissa, our own high fashion model, wearing the ne plus ultra of floral hats – why, she seems to be carrying her very own meadow of June flowers about with her! (By the way, the diamonds are real! The Duchess of Alba keeps rooms at the Warwick, and she is in Bermuda for the week, so she lent Marissa a few of her diamonds in exchange for a credit under the photo.) Next time I shall show you some fall hats – which employ mainly fabrics, feathers and furs rather than flowers. Oh, but why keep you waiting for the Fountain of Youth? I see some liquid ones are already being set on their tray, so I suppose there is no better time to show you the eponymous hat. So here it is, too! The model’s name is Sydney.